We had a great time tonight with the 6th Staines Scout troop and were lucky enough to get 40 children on the air using the GB16YOTA call sign. 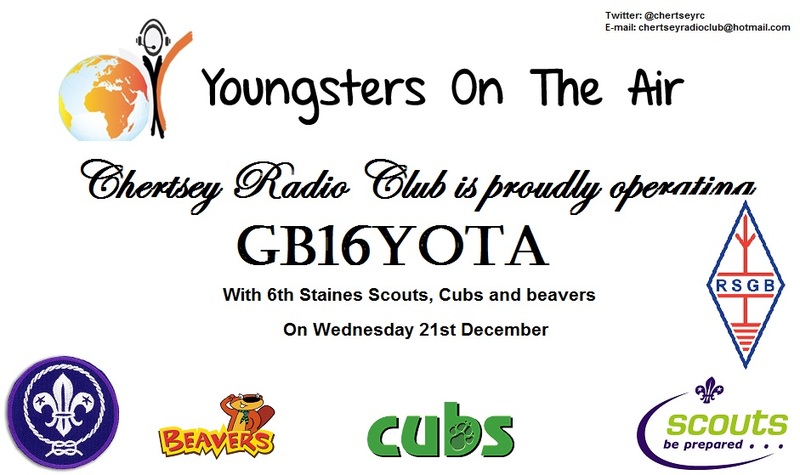 This is a great step towards gaining their communication badges. Also raising awareness of Amateur Radio many seemed keen to follow up and get their first license. 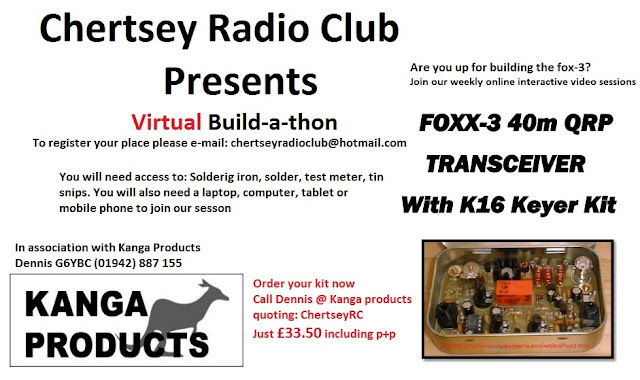 Are you ready to join Chertsey radio club in their pioneering Virtual Build-a-thon? 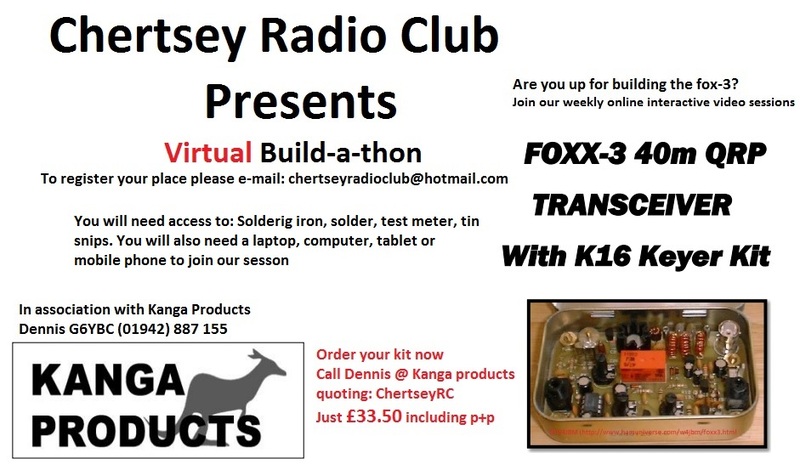 Join our club on line each week via video conference and to build a long side our resident expert Bob M6FLT, with support from Kanga Products. 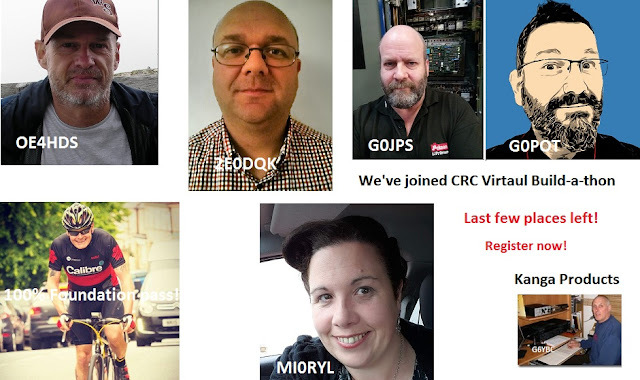 Become part of our virtual community, you simple need the kit, your soldering iron and usual work bench kit and bring your computer, tablet, mobile phone or laptop. Using either Skype or Webex we will present each week for about 30 minutes showing you the next stage of building the project. You can then ask questions and show us how you are getting on. We hope to make the very best use of the technology we have at our disposal to make this a fun and fully interactive event as if you were there in the room with us. More information and a chance to vote of which kit you would be most interested in will be put on line soon. GPS Position Reporting. Among other features, DMR supports GPS position reporting. This was created for the Part 90 world, not ham radio. 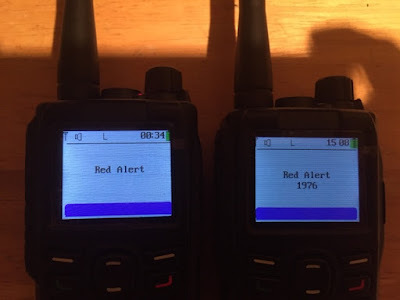 There is no provision for sending your ham radio call sign along with your position report so unlike with APRS, Part 97 ID requirements are not being met if your radio is making periodic position reports and you are otherwise not conversing and saying your call sign at the required times. Please take this into consideration if you activate GPS position reporting in your DMR radio and take action to stay in compliance. Each DMR radio vendor has their own format for GPS position reporting. This is not an issue for Motorola, Hytera, and Tytera GPS-equipped radios because BrandMeister can pass your report to the dstar.su server for formatting and transfer to APRS. Step 1 is common to all three brands, setting up your call sign, SSID, and symbol that you want to appear on APRS. You need to register and this can take a few hours or up to a day to happen. Step 1: Go to the dstar.su self-care web page https://www.dstar.su/selfcare/ and register. Once you are on the main self-care page, select Ham DMR. They need to know your radio brand, position reporting interval, desired SSID to go with your call sign, APRS symbol, and DMR Radio ID. If you are not experienced with APRS, we suggest an interval no less than every 3 minutes and just your call sign without dash anything. Some radios allow auto send every X minutes others allow you to send your position via a text. Both seem to work well on BM network. You can check if positioning and messaging is working by going to http://aprs.fi and typing in your call sign. Let us know how you get on?? 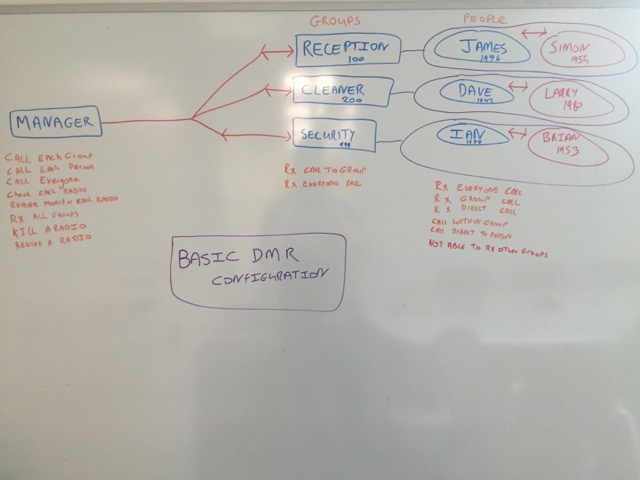 We had a few questions in recently about how DMR works in a real world situation and what the additional features do and how they can be used. We set up a small Lab and did a bit of testing to show you what can be done and created a few short video examples. Be aware upfront, these features can be added and removed from each individual radio by using the CSP programming software. 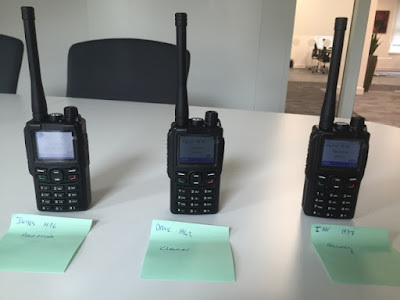 We have set up 4 radios, one manager and 3 which are in different work groups. 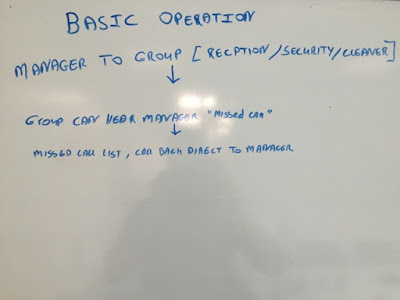 A manager needs to be able to speak to each work group and each individual and call everyone if needed.A manager also has advanced features such as radio check, remote monitor and kill / retrieve. 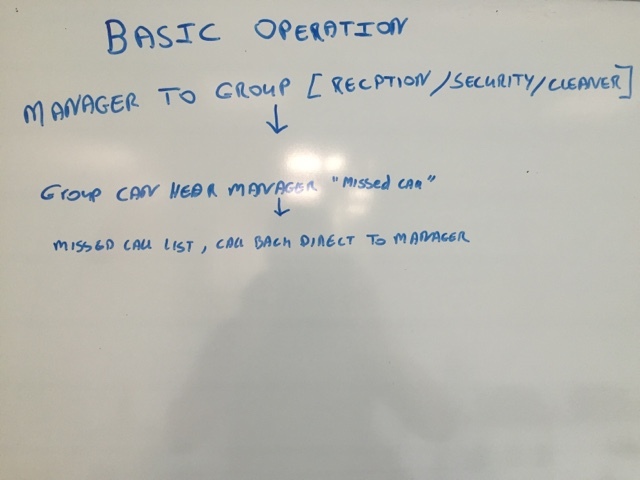 Here we show the manager calling each group in turn. each radio gets the message and logs a missed call. When you click on OK it shows who was calling you and you can respond back directly to them. In this first part we discuss radio detection, remote monitoring, kill and revive features. 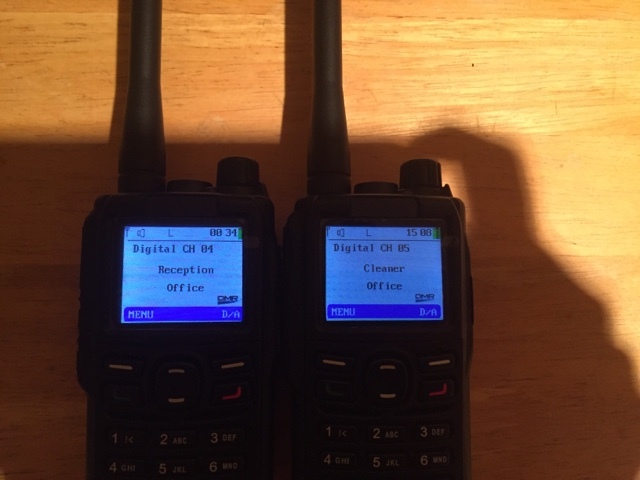 Radio detection, simply sends a digital signal to the destination radio to see if it is responsive. You get either an OK or a fail. The remote radio user is unaware of this request as nothing is seen on screen or heard. 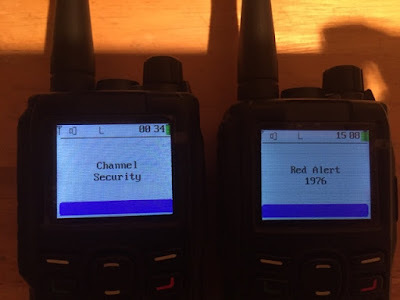 Remote monitoring, sends a signal to the destination radio and forces it to key up the transmitter and transmit for 10 seconds. 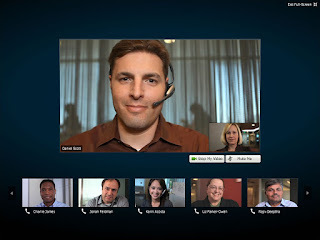 This allows you to hear what is happening on the remote users side. Again this is not noticeable on the remote radio screen or audio, even the LED TX light stays green. 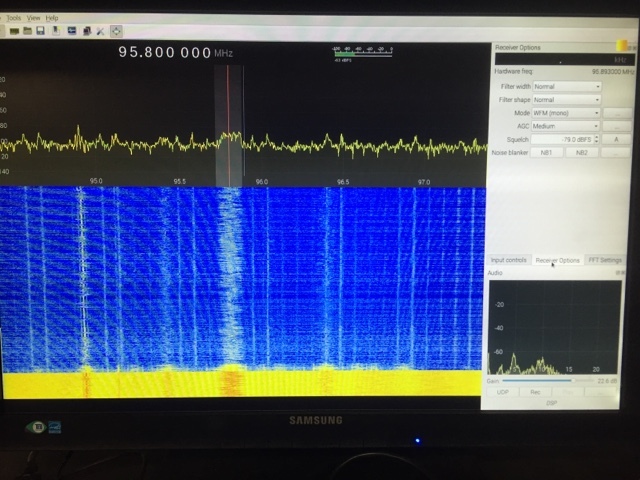 Kill and Revive, This is another digital signal sent to a specific radio ID and will render the radio useless, not able to TX or RX or get into the menu. Revive brings the radio back to functioning as expected. DMR allows up to 32 characters to be sent as a text message between radios. Just like your mobile phone this can be really useful when a voice contact is not required. You can share quick updates, request a phone call or share an e-mail address, or deliver address / next call. The video demonstrates one to all message being sent and also one to one. Here we have a quick demonstration of the emergency alarm feature. We have set this up to be as loud as possible on both radios. Note the sending radio can be set to stay quiet (I'm in danger, enemy is close, need help) but don't want your radio making any noise. 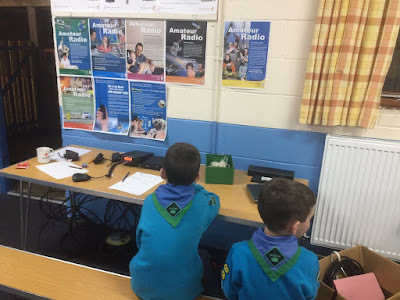 2 Radios one in the Reception group and one in the Cleaner group. The last feature we will take a quick look at is the aility to encrypt you voice and data. 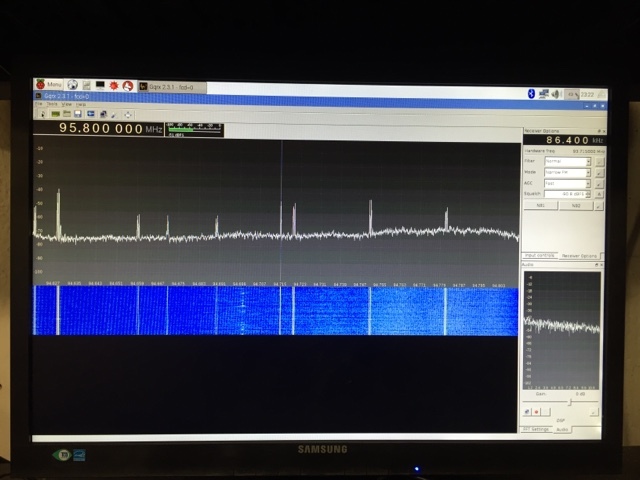 We use a free piece of software called DSD Plus, this will happily decode DMR signals which are not encrypted. 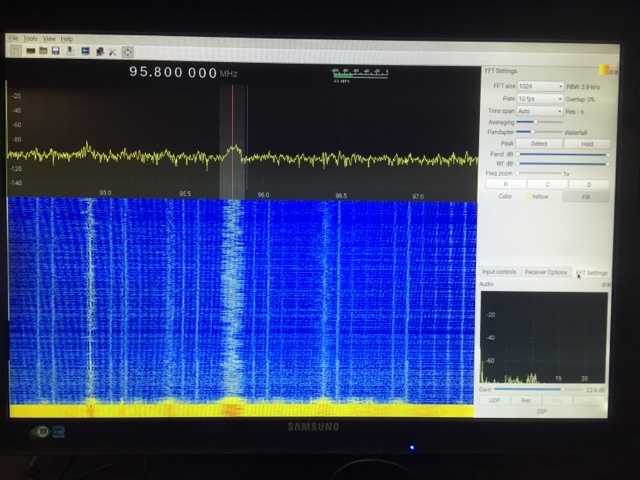 Our Second video is after the encryption is set up on the radio (very simple) and all you hear is noise. 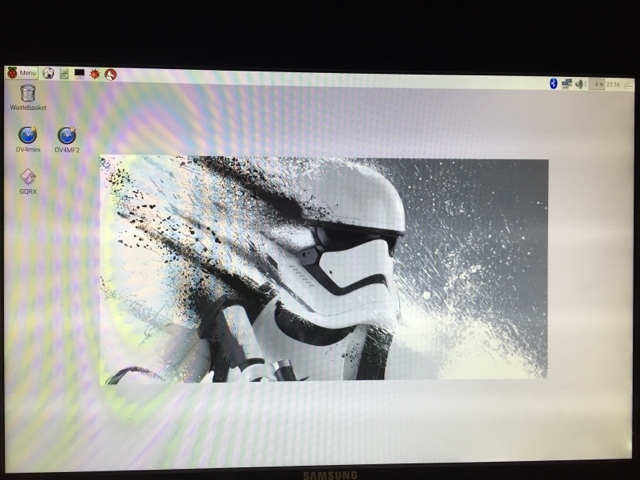 I have had 2 reports of the image freezing at the boot screen, I have deleted and uploaded a fresh image. Let me know if you have any issues at all? 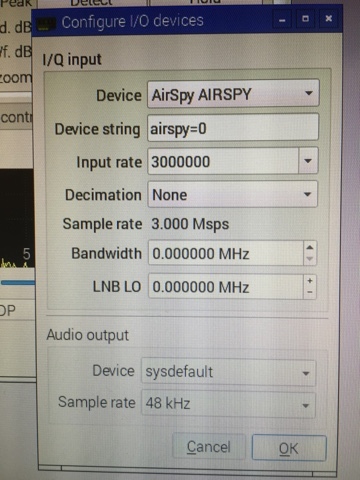 We have created a raspberry pi 3 image which currently has support for the dv4 mini, fun cube, air spy and rtl dongles. 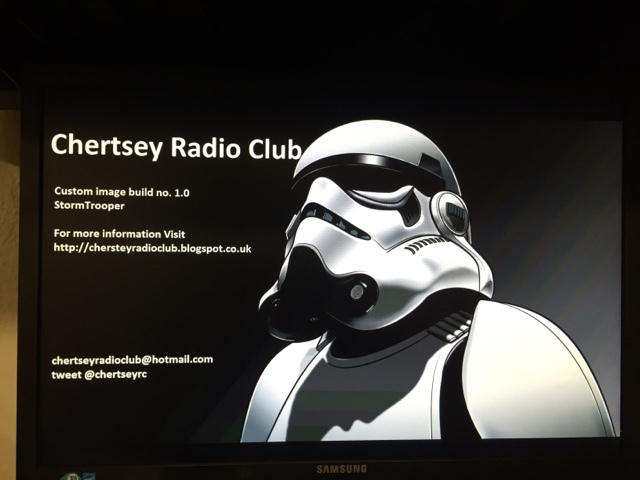 Our unique set up announces the local IP address, just plug in your headphones or speaker into the pi. We will be adding as many useful programs as possible. 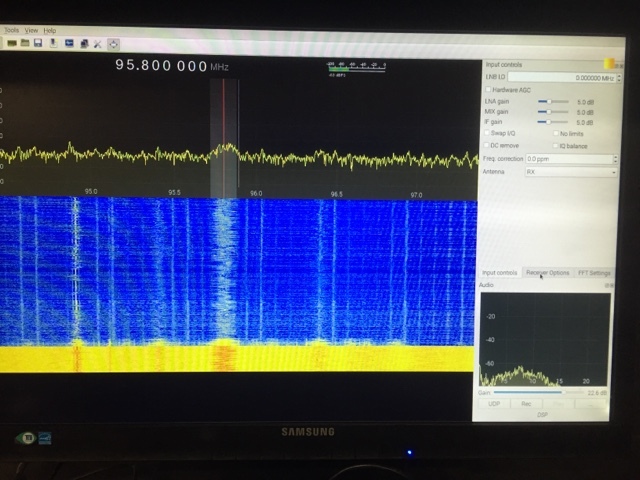 See our ready rolled Raspberry pi-3 image here including the latest GQRX! HSMM-Pi is a set of tools designed to easily configure the Raspberry Pi to function as a High-Speed Multimedia (HSMM) wireless mesh node, compatible with Broadband Hamnet (BBHN) and AREDN. Mesh networks offer amateur radio operators (hams) the ability to operate high-speed data networks in the frequencies shared with unlicenced users of 802.11 b/g/n networking equipment. 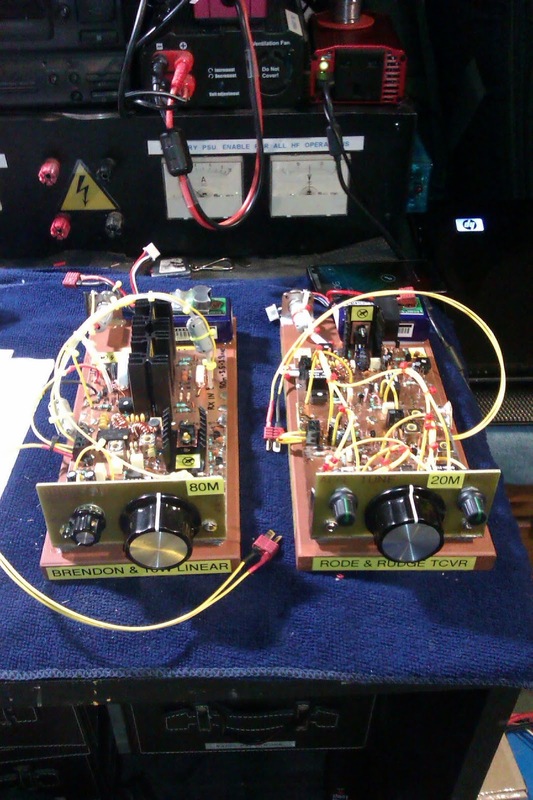 Hams can operate HSMM or BBHN at higher power with larger antennas than are available to unlicensed users. 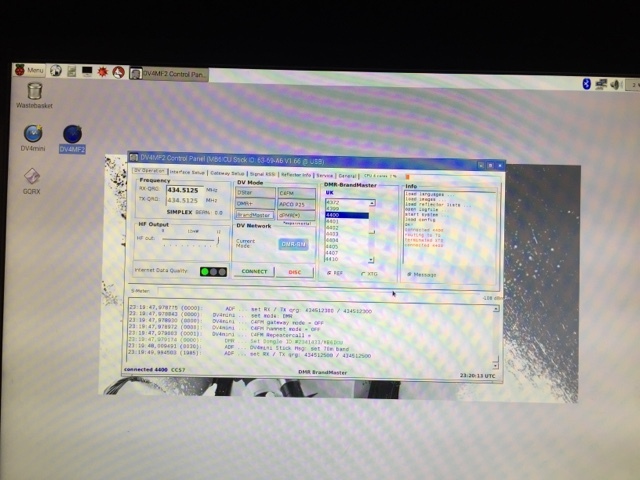 The HSMM-Pi project makes it possible to run an HSMM mesh node on the Raspberry Pi. The project has been tested to work on other embedded computing platforms, including the BeagleBone and BeagleBone Black. The HSMM-Pi project can used by people not possessing an amateur radio license so long as they are in compliance with the transmission rules set by the FCC or the local regulating body. This typically means sticking with the WiFi antenna provided with your WiFi adapter. The project consists of a PHP web application that is used to configure and monitor the mesh node, and an installation shell script that installs dependencies and puts things in the right spots. Greater transparency: You can see exactly which changes are made to the base system by looking at the install shell script. Easier to host: I only need to post the installation script and webapp files on Github and it's done. Easier to seek support: Ubuntu is widely used and supported, no need to introduce another customization. 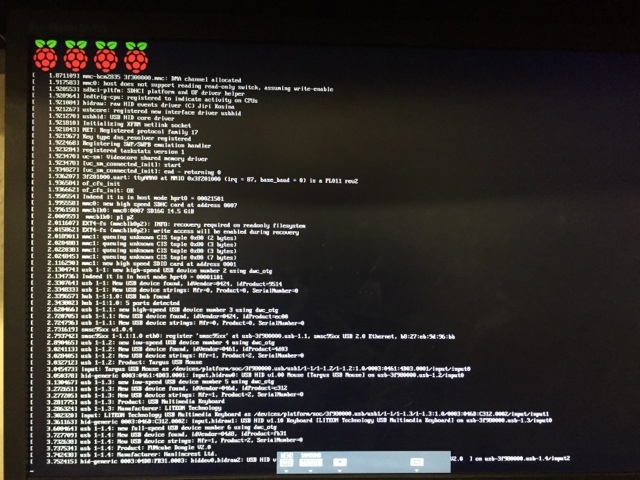 HSMM-Pi has been tested to work with the Raspberry Pi running the Raspbian OS, with the BeagleBone running Debian, and with the BeagleBone Black running Ubuntu 12.04 from the onboard eMMC flash memory. The requirements for each are listed below. HSMM-Pi has two modes: Internal and Mesh Gateway. A description of each is provided below. A node in Mesh Gateway mode routes traffic throughout the mesh, and provides the mesh with Internet access through the wired Ethernet port. 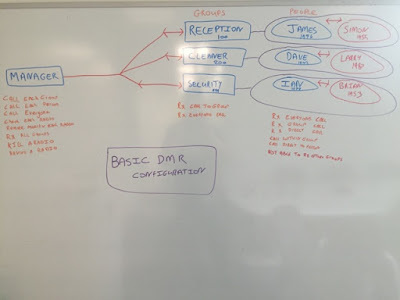 The gateway obtains a DHCP lease on the wired interface, and advertises its Internet link to mesh nodes using OLSR. There could be any number of mesh nodes in the Ad-Hoc WiFi Network. The route among the nodes is managed entirely with OLSR. I've done all of my testing with N150 USB wifi adapters that use the Ralink 5370 wireless chipset. These adapters are cheap (~$7 USD), compact, and easy to come by. They also use drivers that are bundled with most Ubuntu distributions, making setup easy. 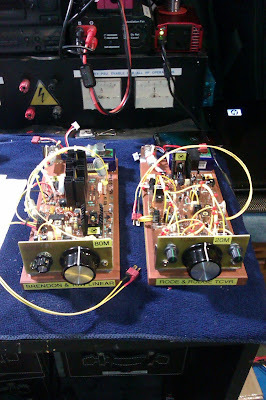 The N150 adapter tested included a threaded antenna connector that should make it easy to add a linear amplifier and aftermarket antenna (outside the scope of the HSMM-Pi project). Download the Raspbian Jessie or Raspbian Jessie Lite disk image. The Lite image is suitable for headless installations as it omits the graphical interface, web browser, etc. Login to the Pi through an SSH session, the console, or the terminal application. The username is "pi" and the password is "raspberry". Access the Admin account using the username "admin" and password "changeme". Write the image to the eMMC flash memory using the steps mentioned in the first step here. Access the Admin account using the 'admin' username and 'changeme' password. This is experimental, and you should fall back to a fresh installation if things aren't functioning as you'd expect. This is supported only on the HEAD of the master branch at this time. Access the web UI and check the configuration. Save the Network and Location settings, even if no changes are needed. Repeat the step of reviewing and saving the configuration through the web UI. Specify an IP address that will be unique throughout the mesh network. This will be different every mesh node. A default will be provided based on the last 3 fragments of the WiFi adapter MAC address. If successful, click the 'Reboot' button in the alert and proceed. A list of frequently asked questions can be found on our wiki, at the FAQ page.